The Teacher Advisory Council (TAC) was formed in 2002 to increase the usefulness, relevance, and communication of research to educational practice; help the research community develop new research that is informed by practice; provide advice about how other National Academies programs, initiatives, and recommendations can be most effectively implemented in schools; and offer guidance about how the National Academies can best communicate with the teaching community in the United States. The Council conducted outreach to enable the inclusion of teachers’ perspectives in a wide range of activities in education research, policy, and practice. Workshops and summits focused on such topics as the role of community colleges in STEM education, teacher professional development, teacher empowerment and leadership in STEM education, and involvement of teachers in engineering education policy in K-12. The Council completed its work in 2017, and DBASSE is exploring new ways to engage teachers in its work. Projects in education occur in multiple DBASSE boards, mainly under the auspices of the Board on Science Education (BOSE). For more information about education projects and engagement of teachers in future DBASSE work, contact Heidi Schweingruber, BOSE Director. 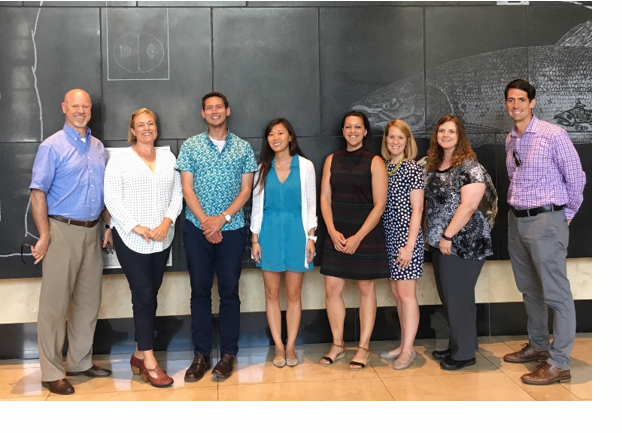 The Division of Behavioral and Social Sciences and Education recently hosted the 2018 cohort of fellows from the Albert Einstein Distinguished Educators Fellowship (AEF) Program. The event brought the 2018 Fellowship awardees to the National Academies for presentations and discussions with DBASSE Executive Director Mary Ellen O'Connell and on National Academies' initiatives, such as the Science and Entertainment Exchange Program, LabX, the Climate Communication Initiative, and activities of the Board on Children, Youth, and Families. The annual event at the National Academies provides an opportunity for the fellow to hear about current and emerging developments in science communication, public engagement, and initiatives related to children, youth, and families.